It was formerly known as Kodak theatre. Today, the Dolby theatre is where auditions for shows like “American Idol” take place. It also houses award ceremonies for Best Picture Oscars. It is a part of Hollywood and Highland center. Did we mention it is also home to the Academy awards? As you imagine, it is a lively place full of historical significance. Not only for Hollywood, of course, but for the entire American culture. The Hollywood and Highland center is also an extremely popular tourist destination. Some famous brands, such as Zara, H&M, American Apparell, Sephora, Louis Vuitton and many others have set up huge shops there. Dolby Theatre is a place full of historical significance. Maybe you’re the scientific type. 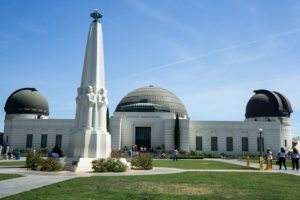 With about 1.5 million visitors a year, the observatory remains one of the most popular tourist attractions in Southern California. The entrance fee is zero, so you can enjoy the stars all you want. It employs cutting-edge technology, which is available to the wider public. If you think you’re a stargazer, then it’s the right spot for you. Did we mention that director and producer James Cameron filmed some scenes for the 1984. Terminator there? Talk about amazing! Observatory is one of the most popular tourist attractions in Southern California. Janet Gaynor, another legendary silent movie star. And many more. A piece of history indeed. Even though it is 120 years old, it still remains breathtaking to this day. The most beatufil part of the building is the Atrium. Some people have even compared it to a cathedral. It’s “author” was Lewis Bradbury, a mining and real estate tycoon of the early 20th century. He decided to build a monument to himself – a legacy of sorts. 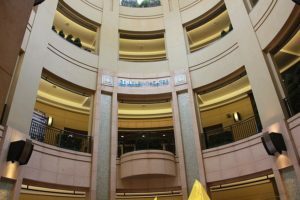 The atrium glows golden by day, and darkens to a silver glow at night. There’s a lot of history behind this one. It seats nearly 18.000 people and has housed not only classical orchestras, but also many rock, pop, soul, blues, funk and jazz artists. It was founded in 1919, and, as you may have guessed, it’s musice and artistic directors have always been high profile artists, with a pedigree and a career behind them. The LA Phil is also no stranger to charitable work. What they provide is free instruments, intensive music training, and leadership training to nearly 1,000 students from underserved neighborhoods – thereby giving the opportunity for young people to create something which they otherwise couldn’t. It’s not big, that’s for sure – only around 3 square kilometers. However, it is acessible, and celebrities often use it to stay in shape. If you need an autograph, it’s the place to go. It’s not only great for staying in shape, it’s great for pets, espcially dogs. Some roads found there, however, are quite no-nonsense. If you want to detach yourself from the busy, hectic, lifestyle in Hollywood downton, this is the place for you! All the city lights provide a spectacular view at sundown. 7. Do not forget to actually visit the most famous landmarks! They’re famous for a reason, and a really dark one sometimes. For example, then-relatively unknown actress Peg Entwistle jumped from the “H” sigh to her death. To this day, nobody knows why. What is less known is that the sign once read “Hollywoodland“. In 1940, the sign’s caretaker had a driving accident, wrecking the sign. Luckily, only the sign was injured. It had to be restored back in 1978, and some of the patrons were Hugh Hefner, Alice Cooper, and Warner Bros. Records. The sign was also changed several times by different groups, for example, to Hollyweed, in recognition of California legalizing marijuana for recreational use. Everyone has a favorite actor, and chances are he’s on the Walk of Fame. Whether that’s Jack Nicholson or Adam Sandler, it’s likely he’s on the Walk of Fame, or at least lives nearby. Only Hollywood historians or older people will recognize some stars whose careers now belong to Hollywood history. For example, there are two Michael Jacksons, as well as two Harrison Fords. The most common last name is “Williams”, of which there are sixteen people, fourteen Moores, twelve Jones’s, and seven Smiths. This goes to show how diverse is the group whose intellectual contributions made Hollywood what it is – the center of modern pop culture. 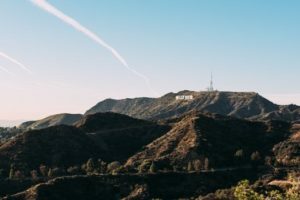 Moving to Hollywood means that you are preparing yourself for a different lifestyle than what you were used to. This doesn’t only imply bathing in the glamour of the red carpet stars – it means reduced property tax, possible hurricanes and busy transportation. There are downsides to everything in life and moving to Hollywood is no exception. 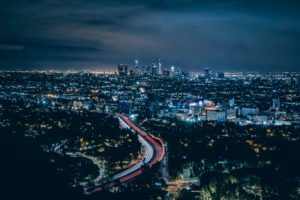 This doesn’t mean it’s all fun, games, glitz and glamour – with a low unemployment rate of 6.9%, Hollywood residents show quite a lot of enterpreneurial spirit. In other words, they mean business. So wrap it up, whatever your interests are, this place has an ace in it’s sleeve waiting for you.